We are one of the most leading importer of Cadmium Ingots. 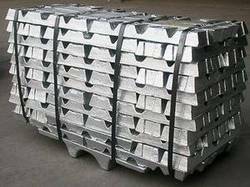 We keep Available stock of Cadmium Ingots. Cadmium is a chemical element with the symbol Cd and atomic number 48. The soft, bluish-white transition metal is chemically similar to the two other metals in group 12, zinc and mercury. We are ranked amongst the best in the business and are indulged in presenting an enormous quality range of Cadmium Ingot. This Cadmium Ingot is designed and developed using premium quality cadmium, which makes it sturdy and rugged in construction. Besides, we offer these products at economical prices. 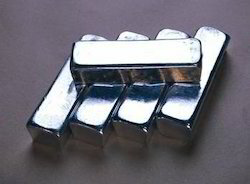 Cadmium Ingots of 99.95% Purity. Russian cadmium ingots , 10 kg each PCs , available ready stock .